MYTH: Hearing loss is inevitable and can't be prevented. FACT: While age-related hearing loss is a normal part of the aging process, the extent of the severity can be significantly reduced by taking proper protective measures. This typically involves listening to music or the TV at comfortable volume levels as well as wearing hearing protection at loud music or sporting events and at the workplace when near loud machinery. 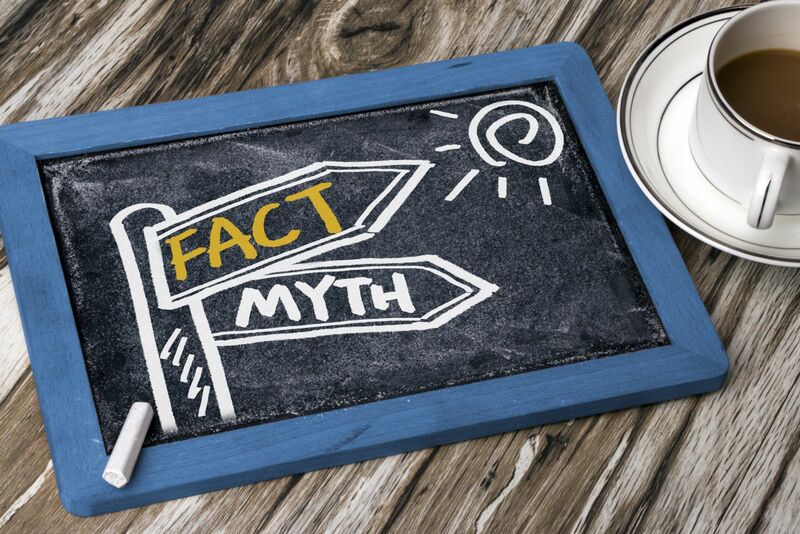 MYTH: Having a mild hearing loss isn't noticeable to others so treatment isn't required. FACT: The truth is that those with mild hearing loss typically struggle in social gatherings and with other communication methods, like talking on the telephone. Those who chose to not seek treatment for their mild hearing loss often rely on coping mechanisms such as turning their head to their good ear and avoiding loud social gatherings, which can become highly noticeable to others over time. The biggest impact of hearing loss is on the individual in their own day-to-day life. Even mild hearing loss can put new and unnecessary limitations on one's quality of life. MYTH: Hearing loss can be completely eliminated and full hearing can be restored again. FACT: Unfortunately restoring hearing fully is not currently possible, even with the most sophisticated treatment solutions. Yet, the good news is that the sooner someone with hearing loss seeks treatment, the higher the chance of a successful adaption to hearing aid technology, which will help to provide optimal hearing in social situations as well as improved speech comprehension. MYTH: Hearing loss only results from repeated exposure to loud noises. FACT: Just like the detrimental health impacts of second-hand smoking, many people with hearing loss aren't aware that they are exposed to damaging noises during everyday activities. These activities may include mowing the lawn, vacuuming your carpet and much more. A good rule to follow is that if you notice the noise being very loud, use hearing protection to avoid any potential damage. MYTH: Treating hearing loss can be too expensive. FACT: We strive to offer affordable health care to all in our surrounding communities. We serve them by offering free hearing consultations to all who want to see the extent of hearing loss that they may have and we provide a wide variety of affordable hearing aid technology options. If you or a loved one are experiencing hearing loss, make sure to request your free hearing consultation by submitting your information on our Contact Us page or calling your nearby office during business hours.